FIND A TENANT THROUGH US – GUARANTEED RENTS; COMPREHENSIVE PROPERTY MANAGEMENT. LED BY CAMBRIDGE CITY COUNCIL. If you have a property in the Cambridge area and you’re happy to manage it, but you’re looking for tenants, our access scheme could help. Here’s how. The access scheme is led by Cambridge City Council, and allows people with a local connection to Cambridge City to access good-quality private rented property. We offer suitable applicants either a bond/guarantee or a loan (paid to you, recovered from the tenant) to cover the first month’s rent and.or the deposit. The scheme is suitable for people seeking shared, self-contained, or family accommodation. Why should you consider working with us? Here are four reasons. If you are willing to work with a tenant who requires some assistance from us, we will be willing to assist you to make the arrangement work. At Cambridge City Council, you will be able to access a wealth of knowledge relating to housing law, housing standards, welfare benefits and the local rental market. We understand that making a good return on your investment is important to you. We will happily discuss ways of maximising your yield, such as changing your rental property into a House in Multiple Occupation and renting to multiple individuals rather than to a family. 3. Save on advertising costs and “tenant-finding” fees. We have a list of motivated tenants waiting for accommodation. If you don’t want the hassle and cost of advertising for new tenants then we can help, free of charge. We appreciate that as a landlord you will need to feel comfortable that the tenant will make sure their rent is paid and that they will look after your property well. We make checks on our applicants and put forward those that we feel will comfortably be able to manage their tenancy. The decision is then yours as to whether to accept the prospective tenant. The scheme is there to help households with a link to Cambridge, such as working in the area, close family in the area or current residence in the area who are homeless or threatened with homelessness. We understand that Cambridge and the surrounding areas are relatively expensive to rent in. For many people, the cost of moving to private rented accommodation prevents them from moving on. For some, this means that they have to remain in over-crowded or otherwise unsuitable accommodation. 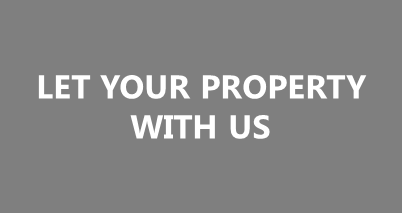 We work hard to bridge the gap between landlord and prospective tenant. Whether the property is secure. For more details, The Homelessness (Suitability of Accommodation) (England) Order 2012 provides some useful information. If you are interested in working with us, or if you have any further questions about how the scheme works, then please contact us.